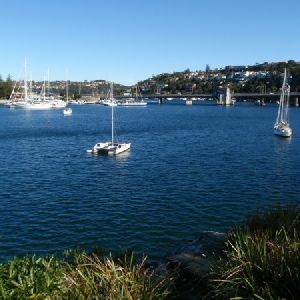 From the intersection opposite ‘Sydney Harbour Kayaks’, this walk heads down along Spit Rd, on the right, to turn left before the hill into Middle Harbour Yacht Club’s car park. 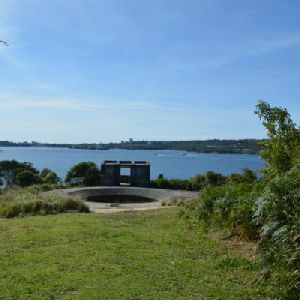 Veer left: From the intersection, this walk heads up Parriwi Rd, along the hill above the yacht club (the club being below on the left). The walk heads up the road for quite some time, then takes the first left, Cyprian St, which it follows down the hill to a signpost for ‘Grecia Lane’. 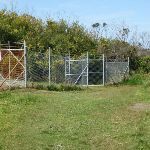 From here, the walk leaves Cyprian St to head down the stairs passing a small grassed area with a bench, before heading down more stairs onto Chinamans Beach. Now Turn right to rejoin the main walk . 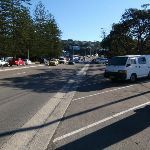 Turn left: From the intersection, this walk heads through the car park towards the Middle Harbour Yacht Club buildings entrance. 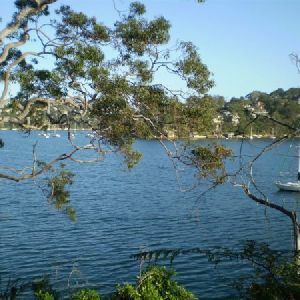 Veer right: From the Middle Harbour Yacht Club entrance, this walk heads along the road which goes behind the club building. 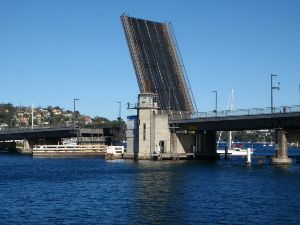 The walk passes a boat ramp on the left and ‘The Shores’ restaurant before turning right, around the front of the Sydney Water ‘Spit Syphon’ building platform. 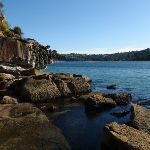 From the platform, the walk drops down onto the rocky shore and continues to wind around and through the rocks for some time. 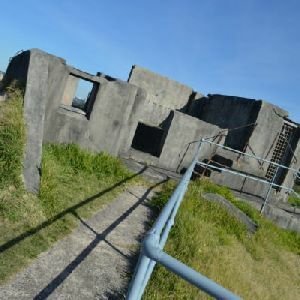 As the walk meanders along the rocky shore, it passes over some sandy sections to then come out onto Chinamans Beach Reserve, heading to the bottom of the stairs (to the right). Veer left: From the intersection, this walk heads along the beach, keeping the water to the left. 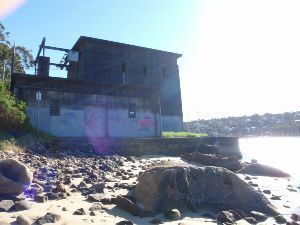 The walk leads to a point on the beach where a wood-railed track leads to the toilet block off to the right. 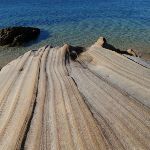 Continue straight: From the middle of Chinamans Beach, near the wood-railed track, this walk heads down the beach, keeping the water to the left. The walk continues to the end of the beach, where there are numerous boats and surf ski’s under the trees. Turn sharp right: From the southern end of Chinamans Beach, this walk heads up the closest track off the beach, keeping the hill to the left of the track. This area is littered with small boats and surf skis. 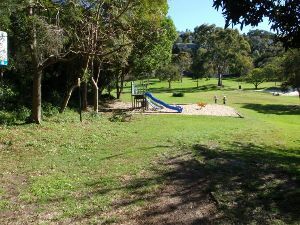 The track comes out near Rosherville Reserve playground, but turns left before reaching the it. 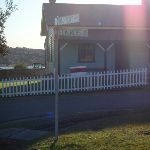 The walk heads up the hill behind the houses (on the right) to the signposted intersection of ‘Rosherville Rd’ and ‘Armitage Lane’. The walk then heads up the hill, coming to Hopetoun Ave just across from where the road joins together again. Turn left : From the intersection, this walk heads up Hopetoun Ave, away from the split levels in the road. The walk passes Kirk Oswald Ave (off to the right) and then veers right, where the road changes its name to Burran Ave, and soon splits into two levels again. As the road bends right again, this walk instead continues straight ahead into Stanton Rd. The track heads to the signposted intersection at the end of the road. 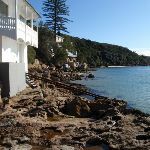 Continue straight: From the intersection, this walk heads down the steps towards the beach and through a rocky outcrop. 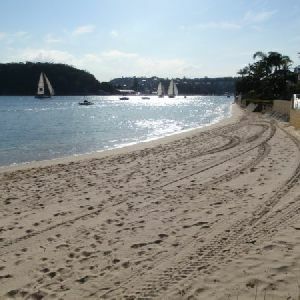 The track turns left, winding to the intersection just behind the beach. Now Veer right to rejoin the main walk . 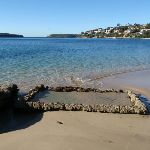 Turn left: (This section is only possible at low tide and with calm seas.) 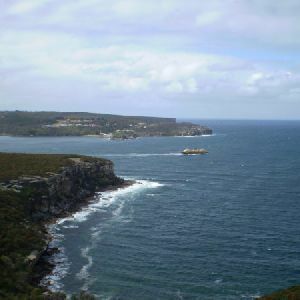 From the southern end of the beach, this walk heads along the rockshelf, keeping the sea to the left. 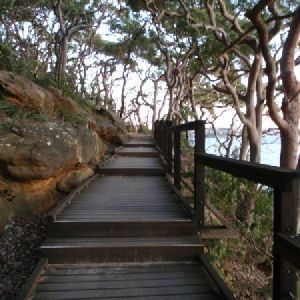 The walk leads towards the boat sheds with rails, taking the easiest route across the rockshelf for approximately 500m to come out onto Balmoral Beach. 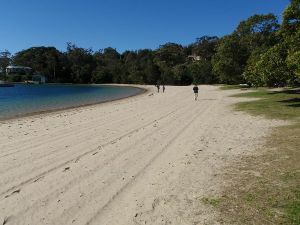 The track then continues up the beach for approximately 50m, coming to an intersection with a small track, just before the houses. 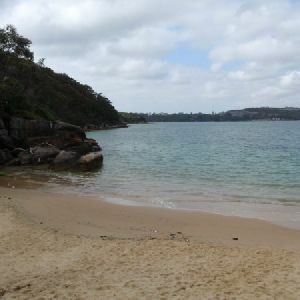 Turn left: From the intersection, this walk heads down the beach keeping the water to the left. 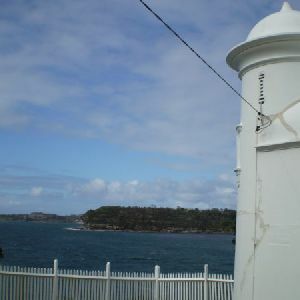 The walk continues for approximately 200m to the bridge that connects the promenade footpath to the rocky island. 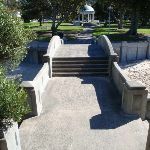 The walk climbs the stairs onto the bridge. 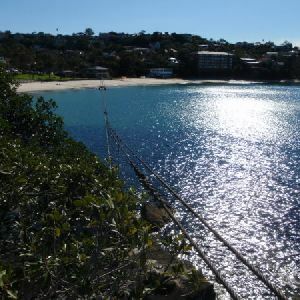 Continue straight: From the bridge, this walk heads down the stairs onto the beach, keeping the water to the left. 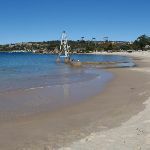 The walk continues along the beach for approximately 100m to the pipe and wharf, then continues along the sand to turn off the beach at Balmoral Sailing Club on the right into the car park. 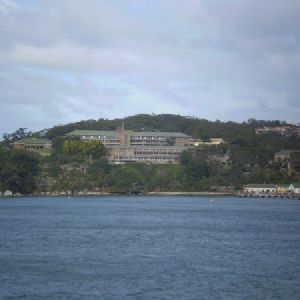 Continue straight: From the intersection, this walk heads away from the car park and beach to pass ‘1st Balmoral Sea Scouts’ and a childcare centre, on the left. The walk then continues along the footpath outside of the oval to a signposted intersection. 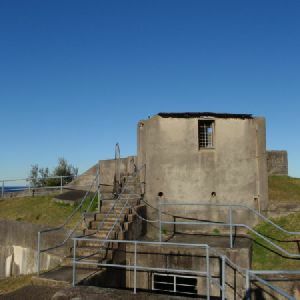 Turn sharp left: From the intersection, this walk heads away from the built-up forts and road, to cross the clearing to the signposted ‘Inner Middle Head Forts’. The track follows the arrow on this sign for approximately 200m through the bush to a sunken concrete fort on the right. beside the ocean cliffs. Take extra care as the ground slopes towards the gun pit and cliff edges – stay 2 body lengths back from any significant drop. At the end of this side trip, retrace your steps back to the main walk then Veer left. Continue straight: From the intersection, this walk heads gently downhill along the road and around the boom gate. 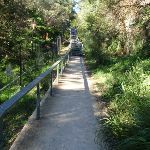 The walk leads over the bridged ‘Middle Head Moat’, then along Middle Head Rd for about 50m to pass a car parking area (on the left) and come to the Cobblers Beach Trail track head (with a locked gate on the left). 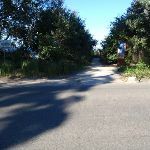 Continue straight: From the intersection, the walk heads down Middle Head Road, away from the old cottage-style houses and fork in the road. The walk continues past houses, left and right, and then an oval on the right, after which it comes to an intersection in the roads. 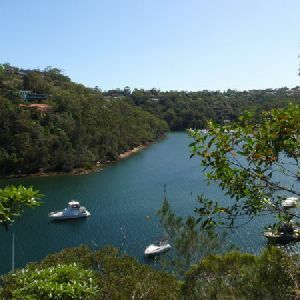 2.1km of this walk is very steep and another 2km has gentle hills with occasional steps. The remaining (2km) is flat with no steps. 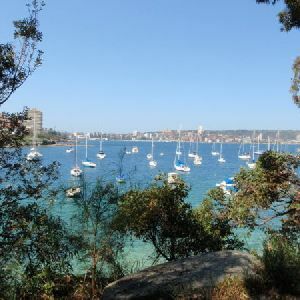 1.8km of this walk follows a smooth and hardened path and another 1.7km follows a rough track, where fallen trees and other obstacles are likely. 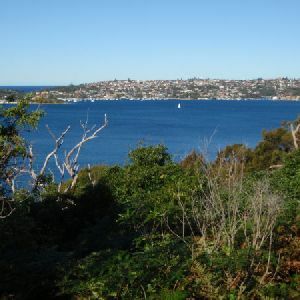 Whilst another 1.4km follows a clear and well formed track or trail and the remaining 1.2km follows a formed track, with some branches and other obstacles. 2.7km of this walk is clearly signposted and another 1.7km has directional signs at most intersection. The remaining (1.7km) has minimal directional signs. 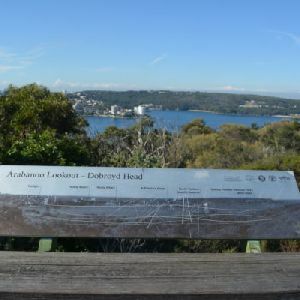 Around 4.4km of this walk requires no previous bushwalking experience, whilst the remaining 1.7km requires a leader a with moderate level of bushwalking experience. 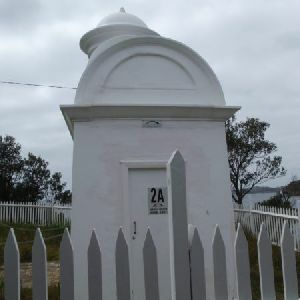 Around 4.4km of this walk is not usually affected by severe weather events (that would unexpectedly impact safety and navigation), whilst the remaining 1.7km is affected by storms that may impact your navigation and safety. 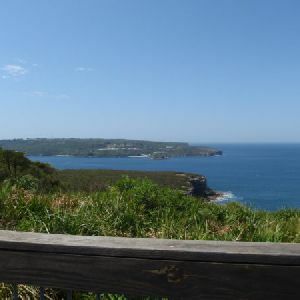 Around 4.4km of this walk is close to useful facilities (such as fenced cliffs and seats), whilst the remaining 1.7km has limited facilities (such as not all cliffs fenced). 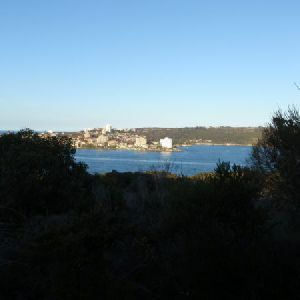 A list of walks that share part of the track with the Spit Bridge to Middle Head Forts walk. 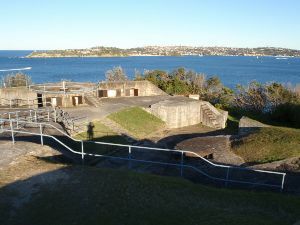 A list of walks that start near the Spit Bridge to Middle Head Forts walk. 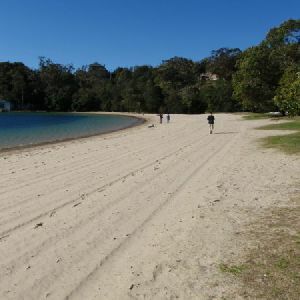 http://new.wildwalks.com/wildwalks_custom/includes/walk_fire_danger.php?walkid=nsw-shnp-sbtmhf Each park may have its own fire ban, this rating is only valid for today and is based on information from the RFS Please check the RFS Website for more information.